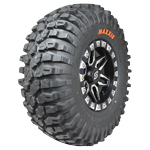 The 8 ply rated radial Maxxis Roxxzilla tire is the premier SxS rock crawling tire! 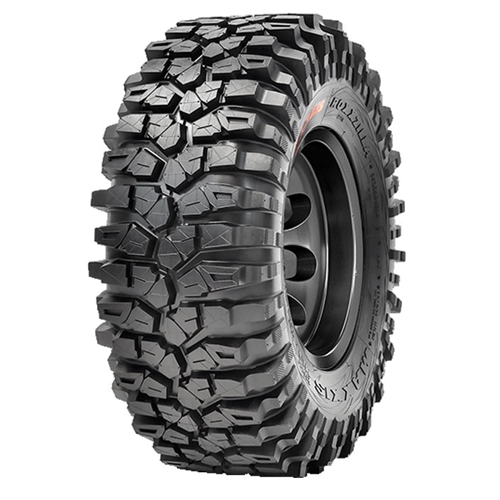 The stepped shoulder lugs and multi-layer sidewall design, it makes the Roxxzilla the best tire for gripping the rocks. Its high void-ratio in the center and two layers on the shoulder improve grip and puncture resistance. Roxxzilla is available in either a soft, competition compound with orange Maxxis sidewall (great for dedicated rock crawling, short course, or racing use) or a standard compound designed for more regular use. Regular compound comes standard with black sidewalls.